Nepal is willing to enhance cross-border railroad connectivity, infrastructure development, trade, investment and tourism cooperation with China under the framework of the Belt and Road Initiative, Prime Minister K.P. Sharma Oli, said here ahead of his visit to Beijing. Oli, who will embark on a five-day visit to China on Tuesday, told Xinhua during an interview that the Himalayan nation is fully committed to implementing the Memorandum of Understanding (MoU) on cooperation under the framework of the Belt and Road Initiative signed with China two years ago. His government has formed a mechanism to implement projects under the Belt and Road Initiative and various ministries are working for the same target, the prime minister said. Our two countries have common views on the concept of Trans-Himalayan Multi-Dimensional Transport Network. 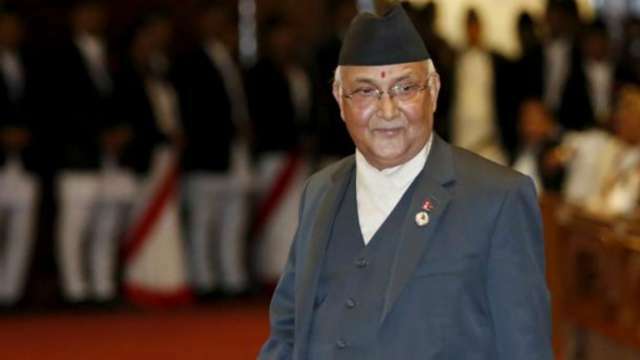 Based on this broad framework, we want to seek cooperation with China on cross-border connectivity of railway, road, transmission lines and other related areas for mutual benefit,” Oli said. Nepal has viewed the Belt and Road Initiative as an important development initiative, he said. The Prime Minister said Nepal has recently proposed some projects in the areas of roads, railway, energy, transmission line for cooperation with China. While talking about Nepal’s ties with China, Oli said it attaches great value to its relationship. “China is our immediate neighbour. Our two countries share a long history of friendly relations which are multifaceted and deep rooted. “Our relations are based on the solid foundation of the Five Principles of Peaceful Coexistence,” he said. During his visit, Oli will meet Chinese President Xi and Premier Li Keqiang and other senior Chinese leaders in Beijing. He will lead a 100-plus delegation. This is his first visit to China after coming to power in February.